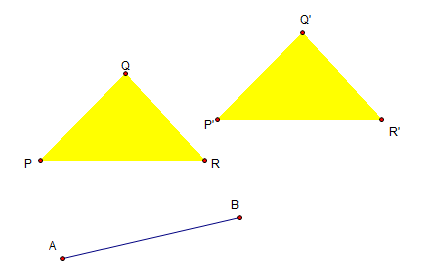 This is the sixth part of the Geometer’s Sketchpad Tutorial Series. In this post, we are going to learn how to use the Translate command. First, we are going to make a translation vector using two points A and B, where A is the initial and B is the terminal point. We are going to construct a triangle and translate it using vector AB.